LLAWN01 (Llandudno Arts Weekend # 1) will be a Free micro festival curated and crafted by Marc Rees, captain of the illustrious ADAIN AVION project. LLAWN01 will celebrate, over one packed weekend, (llawn is, after all, Welsh for full) Llandudno’s fascinating and colourful history and explores why she was bestowed with the title Queen of Welsh resorts. LLAWN01 will re-introduce an iconic Victorian structure to the shoreline; that of the Bathing Machine, which was a necessary component of seaside etiquette in the 19th century. Six bespoke Victorian-style bathing machines will form the beating heart of LLAWN01. 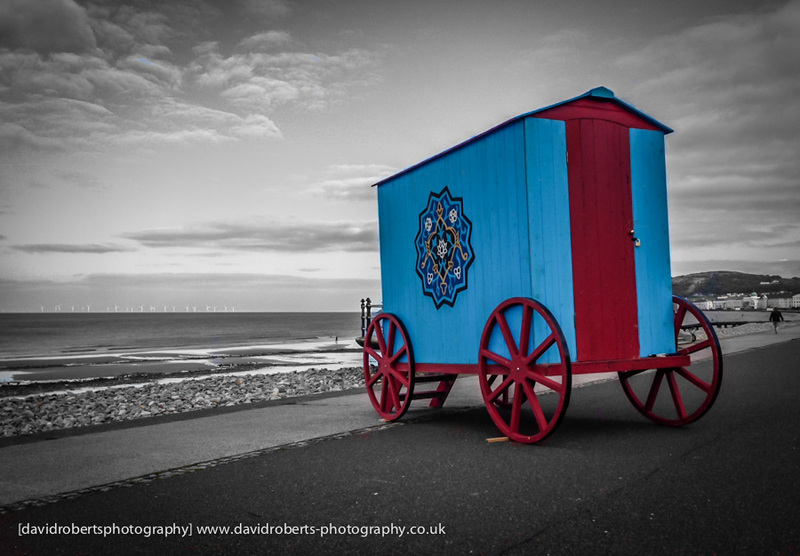 Each bathing machine will be the inspiration and the venue for a series of specially commissioned events, by local and international artists, that will pepper the prom, the seashore and a prominent site in the town centre. These fascinating replicas will be brought to life as beautifully customised, mobile mini-theatres/galleries to house a series of performances and installations that connect with the town’s history. There will also be numerous parallel activities, events and happenings that will animate the whole town, created in collaboration with the festival’s key partners; MOSTYN, Helfa Gelf, Royal Cambrian Academy, Migrations, C.A.S.C, TAPE Community Music and Film, Conwy County Borough Council, Venue Cymru, to name but a few. LLAWN01 …. A FULL-on Free festival to celebrate Llandudno’s past, present and future. LLAWN01 is the first manifestation of an annual arts festival for Llandudno. This exciting development is the product of a collaboration between the festival’s primary funders and sponsor: MOSTYN, Arts Council Wales, Conwy County Borough Council and Mostyn Estates . LLAWN01’s Project Team work out of MOSTYN on Vaughan Street, Llandudno. The festival is managed by its steering group which comprises members of its funders and programme partners. Previous Previous post: Great Northern?